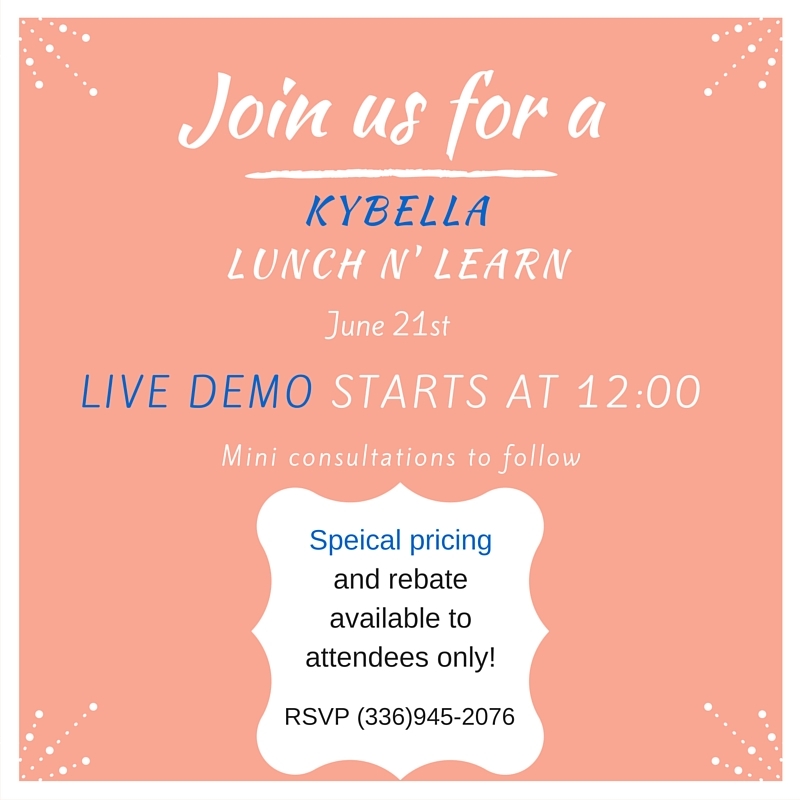 Join us for a Free Kybella Lunch and Learn on Tuesday, June 21st! A live demo in office will begin at 12p. Mini-consultations to follow. We look forward to seeing you there!